In my third year of University I complained to Cathy that I had nothing to read. Actually I’d shouted “I’m bored” from my dorm room loud enough for Cathy to hear (she lived two rooms away). I was lying on the floor with my feet on my bed staring at my bookshelf crammed with Political Science and History texts, and a collection of tattered recreational reading material by Austen, Caldwell, Plaidy and Seton wanting something new to read that wasn’t vaguely related to study. I was about to reread Persuasion (for the gazillionth time) when Cathy appeared in the doorway with a book and a smug smile. “Read this. 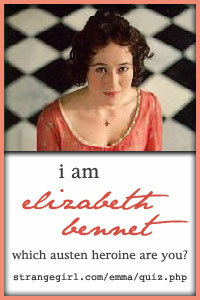 You’ll love her.” Cathy loved Jane Austen as much as me, so there was no argument. That she said I would love her the author rather than the book also heightened my interest. The book was The Toll-Gate by Georgette Heyer. Cathy in her wisdom told me to keep reading and stop complaining. Heyer was like an olive – an acquired taste. Something children just didn’t get because their taste buds were not sophisticated, but grown ups got it because they were prepared to put in a deliberate effort to get to know the complexity of an olive. By getting to know an olive, only then could one appreciate the subtleties of taste, texture and uniqueness. I returned the book but kept my opinion of The Toll-Gate to myself, determined to be an adult, and not be childish and spit out the olive and never try one again. I humbly asked if I could borrow another Heyer. Cathy looked to have every Pan Heyer (the rather dreadful early 1970s covers) ever printed and from the shelf I chose Faro’s Daughter, and the rest is history. I LOVED Faro’s Daughter. Next, The Grand Sophy, These Old Shades, Devil’s Cub, The Black Moth, The Masqueraders, Bath Tangle… etc. etc. Cathy got tired of my comings and goings. She was my lending library. But I was hooked! I’m sure there are many who still wonder what all the fuss is about with Heyer, but experience Heyer for yourself, put in the time and effort to acquire a taste for her books, and then you too will truly appreciate the wonderful world she has created. Bet you can’t read just one! I can see how Georgette Heyer can be an acquired taste. I don’t like all of her books, but others are treasures. Thank you Lucinda! The more I read about Ms. Heyer the more I realize her affect on her readers. It seems that people who read her various genres seem to find one they love and become a lover for life! I haven’t read any yet but I think I will need to start with her historicals as it seems I might like those the most. Thanks so much Deirdra! Glad you enjoy Stiletto Storytime! Nice post! I don’t like olives, but I do love Heyer. I guess my literary palate is more discerning than my physical palate! Aren’t you glad you stuck with it and read another one? I’m not sure if I would have loved Heyer if TG had been my first one (though I don’t recall what my first one was). It is a little different from her usual novels, though I enjoy the mystery and I love her giant, competent heros. My recollection is that she wrote the first chapter (the dinner party scene) with the intention of creating a sub-plot around the succession, but then went in a different direction, and never re-wrote the beginning. So it’s a little disjointed. I used to be a librarian and I developed a cold shoulder from forever issuing Georgette Heyer to women of a certain age. That was almost 40 years ago and I left libraries to become a journalist after one year that was Heyer heavy. I finally read… no, not read… listened to my first Georgette Heyer, Venetia, in audio-form in 2009, read by the deliciously voiced Richard Armitage. That was followed in 2010 by A Convenient Marriage read by the same gent and I confess to listening to it while driving and nearly driving off the road. So much did I love it that I had to blog about it. And finally I listened to Sylvester. Just as good! Suffice to say I am a Heyer convert now. But then I am a Brant reader as well. Oh Dear…I had no idea there were Heyer works voiced by Richard Armitage…this could be trouble. (I have a tiny crush on Mr, Thornton..oops I mean Mr. Armitage). I can see how he could turn anything around. I must seek these out. Thanks for letting us know. I will try not to drive off the road but no promises! I avoided Heyer for years, I also worked in libraries and that and the fact that my Granny was a big fan of Heyer somehow put me off, but I started reading her crime fiction recently and really enjoy them. I prefer them to the romances but I will read more romance, I’m running out of her crime books! 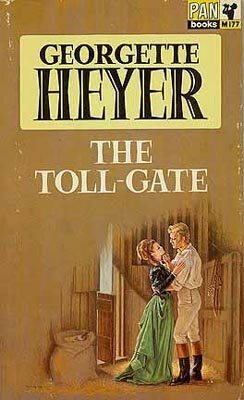 I also didn’t enjoy The Toll-Gate, I’m glad it wasn’t my first Heyer! Her novels are excellent though. I’m reading Bath Tangle right now! Laura- I too am currently tangled up in “Bath Tangle”…can’t wait to hear what you think! I do believe it was the “women of a certain age” borrowing Heyer that delayed me until University from doing the same. Silly really, particularly as now I am of that age! But perhaps none of us use blue rinse in our hair and dress a certain way as my great aunts and grandmother did so hard to spot us (I’d like to think so). Also there is the great advantage with ebooks that we can read what we please and not be pigeon-holed! Pleased I am not the only one that felt that way about TG and to be honest, I was a bit hesitant to admit it publicly for fear those who did enjoy TG would be miffed with my comment! I really love Bath Tangle so enjoy!! While I haven’t read all of Heyer’s books, I’ve enjoyed all that I have read. Some I enjoyed more than others, and I can understand your reaction.